We have been informed that a "pro forma invoices" scam for international domain names is currently doing the rounds again. This happens on a yearly basis, and this sort of scam has been going on for the last 10 years, and we have had many clients who have received these types of letters in the past. 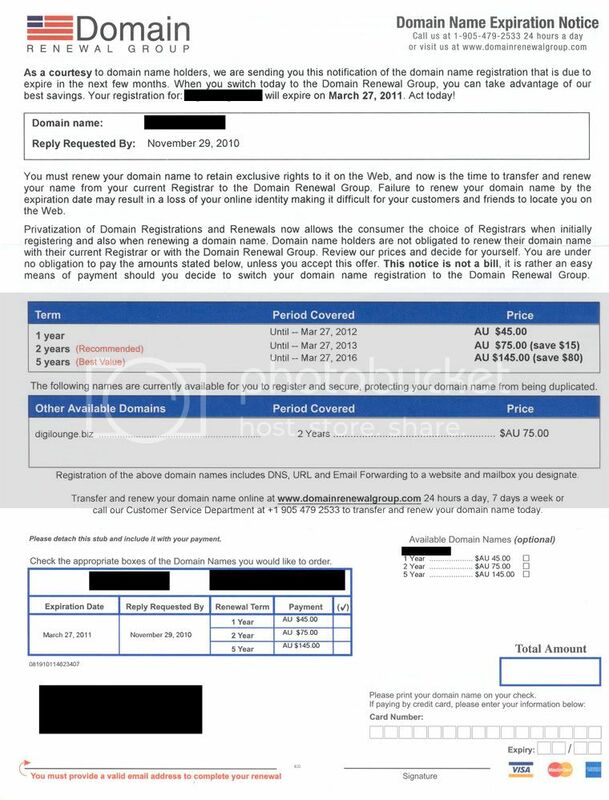 In this case, we are aware of people who have received a letter via snail mail called "Domain Name Expiration Notice" from an American company, who appears to be based out of Australia. They appear to be going through the Whois database and getting domain owners' data to send these letters out. If you receive these letters, DO NOT PAY IT. If you follow the instructions in the invoice, you risk becomng a victim of the scam. Not only will they bill you more than we charge, you are also giving them authority to transfer your domain name to their management, where you could lose control of it. The only domain renewal notices you should take notice of, are ones that are sent from us, the Lounge Network. We send them via email prior to the expiration of a domain. The only other organisation who may contact you once a year , are our domain providers SRSPLUS (http://www.srsplus.com). They will only contact you to confirm that all your contact details associated with your domain are correct, as all domain clients are required to keep their contact details up to date under the domain name terms or service. An example copy of the letter you may receive is below. PLEASE IGNORE IT.